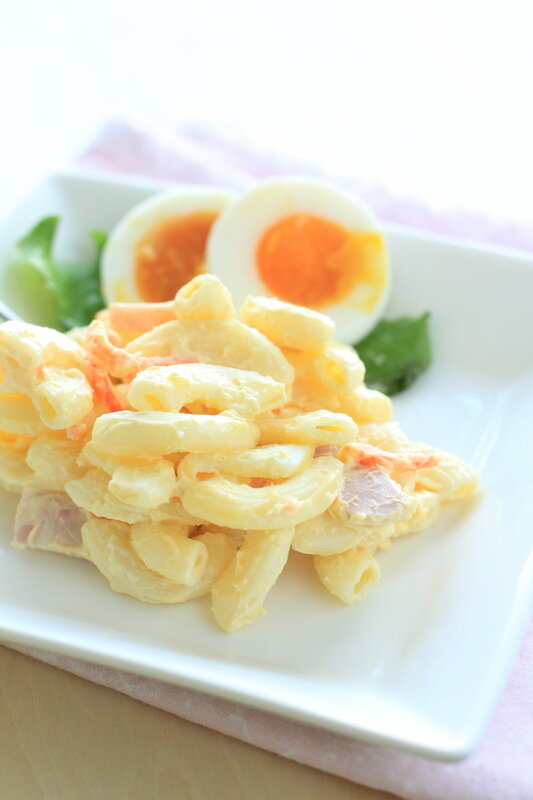 To prepare the macaroni salad, bring 4 quarts of water to a boil in a large saucepan over high heat. Add the 1 tbsp. salt and the macaroni and cook for 8 to 10 minutes, until tender. Drain in a colander, rinse with cool water, and drain again. Transfer to a bowl. Combine all the ingredients and mix well.